This error generally occurs when you have participated in "beta" version of new update which is not fully supported. 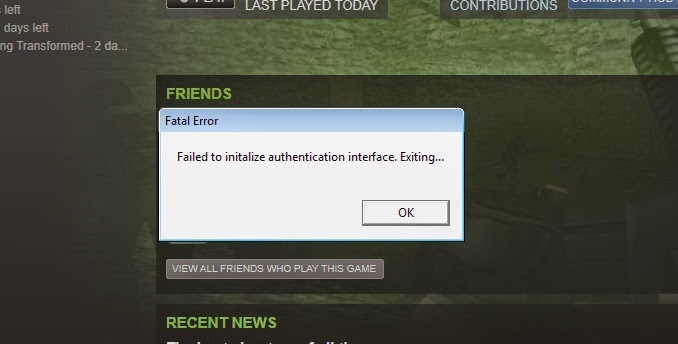 Therefore, this error occurs when your system is not able to play the "beta" version of the game. This is a general error which occurs when you go for beta update of cs 1.6. As they are "beta" updates, so there are not such a stable version, so if you see this error it takes 2 minutes to solve this problem and this is how you solve it. Open Steam, goto account tab. Click on "change in Beta participation". Click OK and restart steam. Still if you face any problem comment below.